Every successful entrepreneur, small business owner or marketing coordinator needs Instagram in order to thrive nowadays. In 2018, social media is more than just a part of an effective strategy – it plays a vital role into the generation of followers and their conversion to full-time customers. …You have landed on the right page. Below, we are listing our guide to making most of all those goals. You can see four unique steps about each of those categories. The first part that we will talk about today is essentially the first step in everyone’s mission on Instagram – to get as many followers as possible. Building a fan base is nowadays harder than many think, especially because of the fierce competition and the knowledgeable users who know exactly who they want to follow. So, how does a personal brand, business or a big company attract loyal followers on Instagram? Check out the answers through the four steps below. The first step is quite simple – to set up goals over a specific timeframe. Whether you are an entrepreneur, business or marketing manager, your goal should be an X amount of followers in a month, 3 months or even a year. Believe it or not, setting achievable goals can guide you into the process and help you grow in popularity. You will know where you are at every step of the way, and know what to do to improve the follower count. If you know who your target audience is, you can develop effective communication strategies. Meanwhile, a target market can also help you know who your ideal followers are, what are their needs/characteristics and how your company/brand should serve them. The target audience is very important since they are most likely to purchase your product. By knowing their distinctive needs, wishes and desires, you will know what type of content to craft and how to attract and build an even larger user base. Most importantly, you will be able to reach the right audience with your products, services or messages – as well as design strategies that let you focus on a specific group instead of a general number of people. This way, you can build a strategy that saves you money and gives you a better return on investment. There are so many different Instagram profiles with different schemes. Whether it’s a personality, a brand or an organization, the content differs a lot. While posting content from a variety of themes sounds like a good idea, it is not sustainable. After all, your Instagram followers want you to prove yourself as an expert on a particular topic. The theme can help you a lot in this way and let you focus on your specific field of expertise. Plus, sticking to a consistent theme on Instagram will make your business or personal brand more sustainable and build similar relationships with your followers. The last step of our first part focuses on schedule. In other words, developing a posting schedule can be crucial for success. In times when people are drawn to opening their Instagram app at specific times, they should also be able to expect a new picture from you (during that times). In what seems like a rhythm, your business/brand should be consistent with its schedule. For example, if you are a daily travel blogger, your followers would definitely expect to see where you wake up every day while traveling. If you are into T-shirt design, they will expect a new design every once and then. As such, having a posting schedule helps you attract even more loyal followers on Instagram. What was once only a photo-centric social network is nowadays one of the largest revenue channels for many entrepreneurs, bloggers, businesses and organizations. Instagram has rapidly grown from a social network to a massive business opportunity – and a sustainable model that triggers sales. Below, we are showing you the four inevitable steps that will give your Instagram followers the incentives they need to become your high-paying clients. The first step towards transforming your followers to high-paying clients is your bio section. Since Instagram only allows links in bios (and sponsored stories), you should do your best to explain why your followers should (buy from or) like your page and how it will benefit them. You can even offer a lead magnet to give them an incentive towards their first purchase. One way or another, you should always make sure that they know what’s in it for them if they decide to follow your page. Sometimes, your link in the bio can read ‘NEW PRODUCT [PRODUCT-NAME] ON SALE NOW’ and lead them to a landing page for a new product that you have launched – and other times it can be your website alone. The goal is to craft sales copy in your bio section, make it easy to spot and get your followers’ attention. Wondering what is the biggest selling proposition on Instagram (and any other social network)? If you fill your posts with value, you will be different – and your followers will easily spot this. Their purchases will come as a reward for your forward-thinking habits and your valuable offers. After all, every unique purpose which is shared with the world deserves to be rewarded. Even when you are not selling, make sure to fill each one of your Instagram Stories or posts with value. Only in this way, your followers will enjoy the content and make sure they are following a person or brand that is truly special. An advertisement that reads ‘Our new T-shirt collection is here – click and buy!’ won’t perform even close to one that reads ‘Want to spice up your summer looks? Check out our newest tees here!’. Obviously, it is the latter that will win most of the hearts. If you are wondering why, it’s simple. Your ads should talk to your customers and address their needs (instead of yours). In times when we are seeing hundreds of ads on a daily basis, we are only interacting with the best ones – and the ones that speak to us directly. The last point you should take notes from in this section is in line with what we said in the previous point. Your competitors focus on their product and service features. If they think outside of the box, they focus on their benefits too. However, if you want to be better than that, you should focus on how those benefits will impact the lives of your followers – and how working with you (or purchasing from you) will be the best thing they were looking for. This will definitely help you make sales and position you as a leading authority in your market. Now that you know what type of content to post, when to post, how to interact with your followers and what type of information to provide in your posts, it is time to learn how to scale things. In this last section, we are talking about all the techniques that can help you do that and help you boost your effects on a larger scale. Even though many people think that hashtags have been there for a while and are becoming rusty, the marketing world doesn’t agree. They are not for teenage girls and not for age-old posts. In fact, their introduction to Instagram Stories made hashtags even more popular and viral on Instagram. Ideally, you should think of hashtags as the ideal search tool that helps viewers find topics and ideas that they are interested in. So, every time you write a post, you should write a caption and post up the photo. Then, AFTER you post the photo, you should head up to the comments section and attach all of your #hashtags that you saved on your device. Tip: You can also put some time and research all of the most popular and relevant hashtags in your niche – and then compile them in a ‘Notes’ list on your phone and save them. 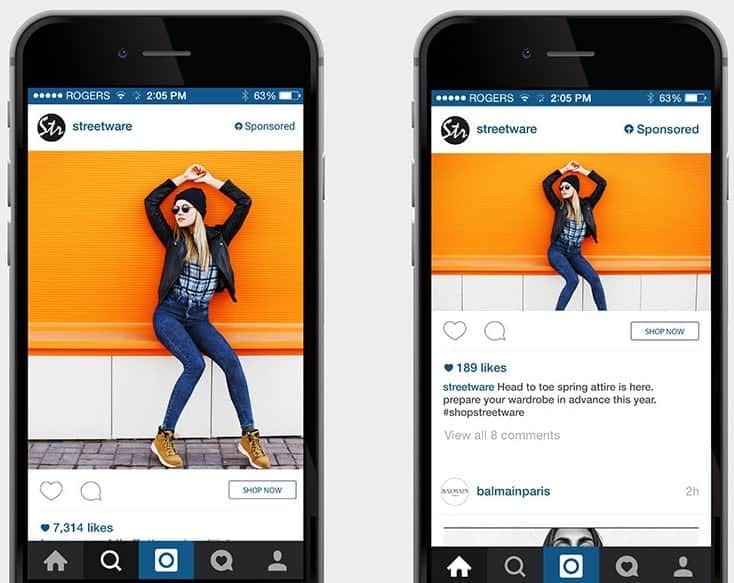 From there, you can simply copy them and paste into Instagram. This year was big for Instagram because they announced a range of new features, among which was the eCommerce feature for posts. This feature lets your followers click through from your posts to your product pages. Everything is powered with tools for collecting and publishing verified customer reviews on your products with which you can gain even more social proof. One tool that can help you make most of such catalog is Yotpo. For more details on their shoppable catalog, click here. 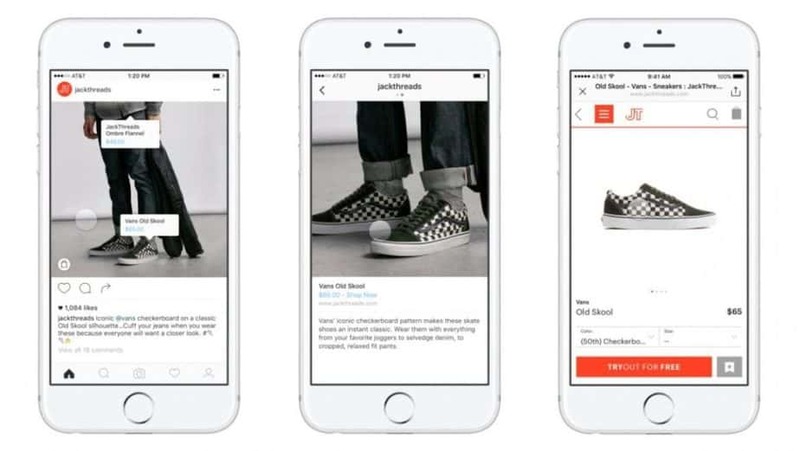 You can also directly navigate to a product page through the Instagram Stories, urging your followers to ‘Swipe Up’ and purchase the product. Another great way to scale your Instagram business and grow your network is to offer special discounts and promo codes for your Instagram followers. Whether it’s a mention of the promo code in one of your Instagram Stories or a site-wide discount, you should always mention it in your posts or Stories – and your followers will be more likely to buy from you. If you want to do another unique tactic, you can run a contest where your followers can enter to win great prizes. Any contest is basically a win-win scenario for everyone – your followers get the goods and you get the new follows. Last but not the least is one of the sacred techniques – and probably the best one yet – for growing your follower count to thousands and hundreds of thousands. What started as a manual follow-for-follow where businesses, brands and entrepreneurs would follow hundreds of profiles and expect a follow back – is now a tactic known as Instagram automation. The truth is, Instagram automation is practiced by every successful brand or profile on the social network. However, the best way to make most of it is by hiring a professional that specializes in growing your network – one follow at a time. By contacting us on this link, you can see how we can help you grow your Instagram follower count – all in an automatic, proven, and successful way! At the end of the day, Instagram is nowadays more than a social network. However, its principles have remained the same. You need to get new followers, turn them into customers and scale your business in order to succeed. We hope that the tips listed above will help you on your mission! For more information and help with any of these points, feel free to check out what we do or contact us directly!